My name is Tania Pentcheva. I studied at the music academy in Plovdiv, Bulgaria, my native country, and at the music academy in Münster, Germany. I also attended numerous master courses, my teachers, among others, being Carlo Domeniconi, Anders Miolin, Antigoni Goni and Pavel Steidl. 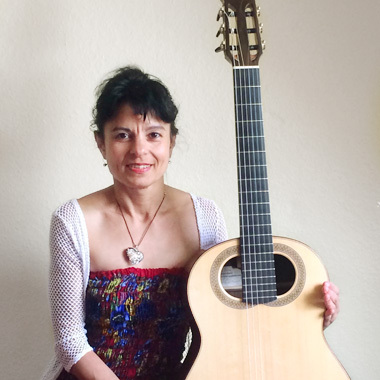 I have won prizes at various international guitar competitions held, for instance, in Jambol and Chirpan (Bulgaria) and Bath (Great Britain). The composers Antonio Amoroso, Roberto Fabbri and Jim Skinger have dedicated works to me. I can play for you at concerts and on special occasions. You yourself can choose the type of music you would like to hear (contemporary, Spanish, Italian works and crossover). It is possible to amplify the sound via the Schlemper system. 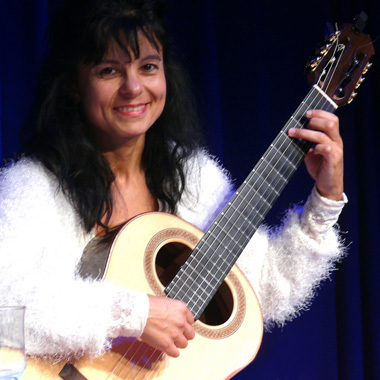 Besides that I give guitar lessons in Muenster (Germany) to advanced pupils in the German, English, Italian and Bulgarian languages. For more details see menu item [Lessons].